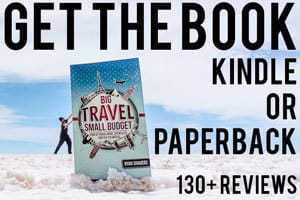 This post is meant to accompany the Fly for Free chapter in my book Big Travel, Small Budget. My first big award redemption came around Christmas. I procrastinated on buying a ticket home for the Holidays. By the time I was finally somewhat clear on dates and was able to purchase the ticket, it is only about two weeks before Christmas and by that time the prices had climbed to around $800 round trip just to fly back home to Seattle. 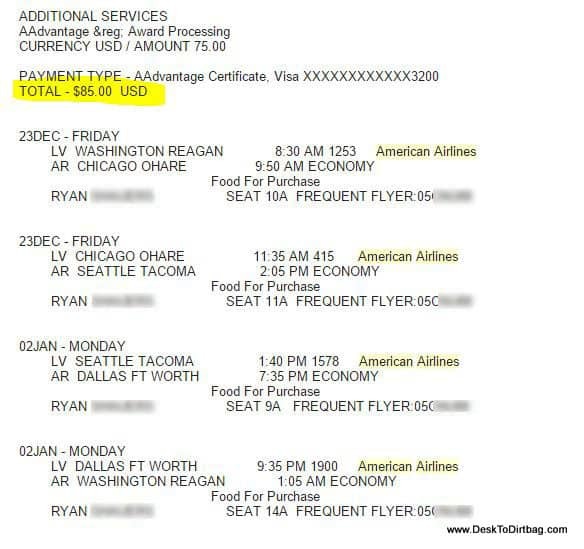 I ended up shelling out 50,000 miles with American Airlines and $85 cash for taxes and fees. My first time saving $700+ on a flight. So cool. 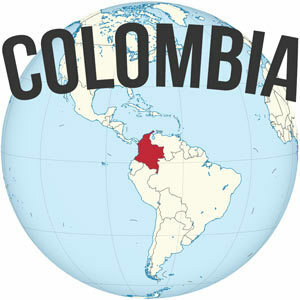 I was able to score a one way flight home to Seattle from Medellin for just 35,000 miles and $95.10 in taxes and fees. The same flight was $782 if purchased outright. I just saved $686.90. My award redemption from Medellin to Seattle for $95. American Airlines flights for December 11th. The $97 I spent for the Frequent Flyer Master and Travel Ninja bundle from Unconventional Guides has, to date, saved me about $1,400 total. If we were talking in investing terms, my ROI (Return on Investment) would be an astronomical 1,343.3%. That is money that I would be spending regardless in order to travel home to see family. 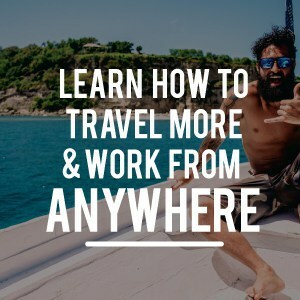 If you’d love to travel to more far flung destinations or just want to save big bucks on the travel that you already are expecting to do (or maybe have to do), then I cannot recommend strongly enough that you get started in the realm of travel hacking as soon as possible. The Frequent Flyer Master guide is a great place to jump start your travel hacking career. 60+ page updated guide with details about earning miles and redeeming your miles. Travel Ninja guide which includes tips, trick, and how-to’s related to Round the World travel, creative lodging opportunities and much more. Two audio session related to travel hacking and frequently asked questions. Regular email updates with the latest tips, tricks and news. Cards for Travel – A continuously updated resource of the best credit card promotions currently available. Ultimate Guide to Frequent Flyer Miles from Extra Pack of Peanuts – Another super comprehensive guide to maximizing your mileage earning and how to maximize your redemption. Travis Sherry knows his stuff. How to Travel the World on a Budget – My own post about how I used some of these core concepts to travel cheaply over the long-term. Frequent Flyer Master from Unconventional Guides – The awesome guidebook that got me started down this path to free travel. Flyer Talk – A major source of news and forum discussions related to miles, points, and travel hacking. The Points Guy – Another major source to turn to when looking for discussions and news in the world of miles and frequent flyer programs. Although I’m a lot into flight hacking I confess miles is still a topic I don’t know much about. Do you recommend the guide you mention to people outside US? There are things that apply to those outside the US, but as far as I know the biggest mileage earning opportunities are primarily available within the US, unfortunately. It’s a bit of a slower game outside, but there are certainly aspects of the mileage game that apply. 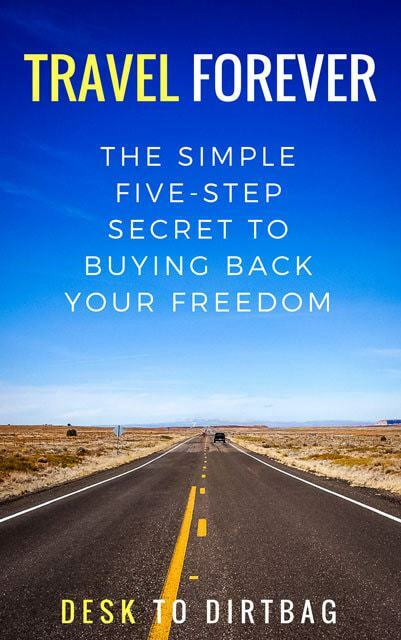 These travel hacking guides are fantastic and have helped so many people to travel long term – the only drawback is that so many credit cards outside of the US lack the same points schemes, hence why we’ve never been able to use the system. Yeah, that is a shame… So many good promos and bonuses for playing the credit card game. I should have flagged that it was mostly for US readers in my post, thanks for the reminder. Too bad you can’t just use a US address and apply for the same deals! Haha.